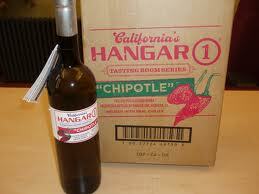 Several years ago Lance Winters, the head distiller for Hangar One in California, concocted a limited batch of chipotle vodka by infusing fresh, dried and smoked chilies. The demand outpaced supply. Finally, he has been able to triple the production, and the vodka is now being sold across the country. In addition to japaleños and chipotles (smoked jalapeños), he also uses habaneros for heat, and bell peppers for vegetal richness. The result, 80 proof, has a pale straw color, peppery complexity, haunting smoke and an almost tequilalike greenness to the flavor, making it a spirit to savor on the rocks, to mix in a bloody mary or margarita or to season ceviche.